Kelsey Aimes grew up in the small town of Gainesville, Florida. She didn’t know what she was destined to become. Driven to the big city of New York City, after a harrowing betrayal by her best friend, Kelsey encounters HRH Prince Stephen Lyons. It was no chance meeting between Kelsey and HRH. Now she is to discover if they are truly reunited by fate . The rollercoaster ride isn’t over in this second to the last installment of Gator Girl. Stephen is slipping away after Kelsey has been shot and he hits rock bottom. 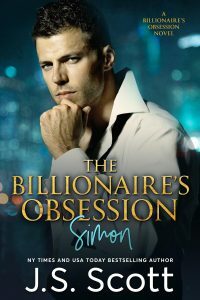 He and Kelsey’s possibility at a promised fairytale ending has taken a turn towards a love triangle with a man that has no ties, or loyalty to Stephen to stay away from Kelsey. Chase Bennett has his own money and his own long line of Big Texas oil pedigree. He needs nothing of his HRH, except for Kelsey and he is playing for keeps after her heart. It is the ultimate competition for Kelsey’s heart and body. Who will win? Kelsey has to make a choice. She is a woman scorned, feeling used and abused by them both. She finally takes stock of her life and decides to not sit idly by and have her heart torn apart. She takes control of her destiny and takes the man that she desires and makes him obedient her command. When Kelsey Aimes gets thrown into the Royal world of HRH Prince Stephen Lyons her whole life gets turned upside down. Truth’s become a lies and the DRAMA is non-stop. In Book 4, everything escalates. Stephen is no longer playing around with wanting her, but putting everything he says into action. Kelsey starts out wanting to do the right thing, but she has a curious nature about her that wants to know everything. So she ends up getting suckered in, once again, by Stephen. And before she knows it everything that she said she would never do, she is doing! It gets hot as hell and Stephen is just warming up. Kelsey puts more demands on Stephen – pointedly, that he must stop sleeping with his friend Nicollet. He compiles, but now she is being tasked to fill the void, but she still hasn’t told him all the secrets that she is hiding from him. Stephen is getting closer to the truth about Kelsey, and she is trying her hardest to make it a non-issue, but she is running out of time. Kelsey did not expect to lose herself to HRH Prince Stephen, but there isn’t anything that she can do about it when her body is in control of her mind. She tries to play in his world and ends up getting played from beginning to end. Love him or hate him, or just hate that you love him, he will definitely steal your heart and take you away to fulfill your greatest of fantasies. He is after all a titled Prince, HRH Prince Stephen Lyons!